But the rewards don’t stop there. 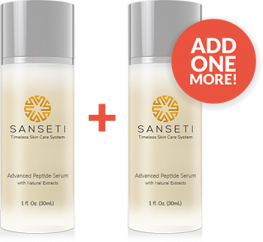 Double your order now and help us share Sanseti across the world. 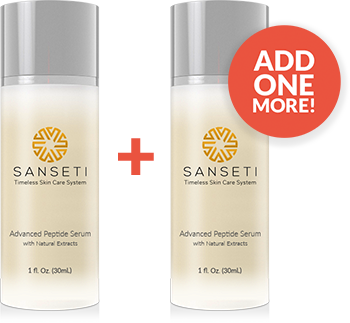 As a thank you for your order we’re giving you the chance to claim a SECOND FREE BOTTLE of Advanced Peptide Serum with Natural Extracts for only the cost of shipping & handling. Share Sanseti with a friend or keep it for yourself. But act fast! This is a limited time offer while supplies last!